Woo-Hoo!! It's finally here!! 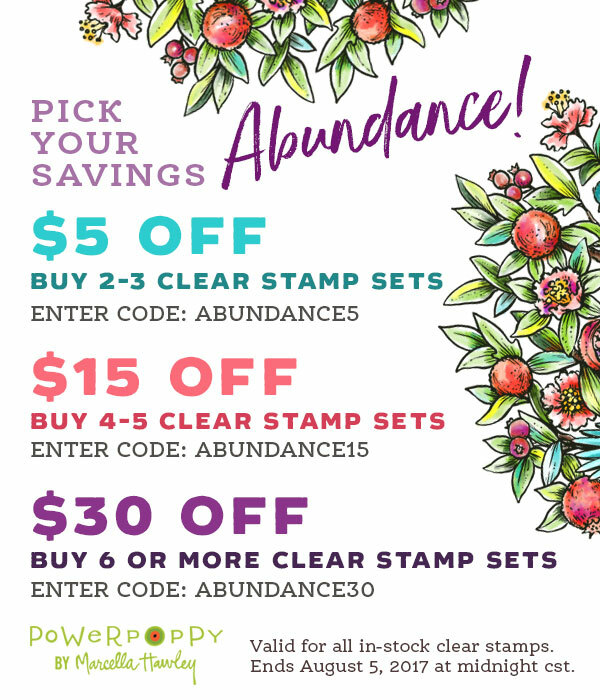 All the Power Poppy Abundance stamp sets are available for purchase!! Do you have a favorite? I honestly don't think I could choose one. 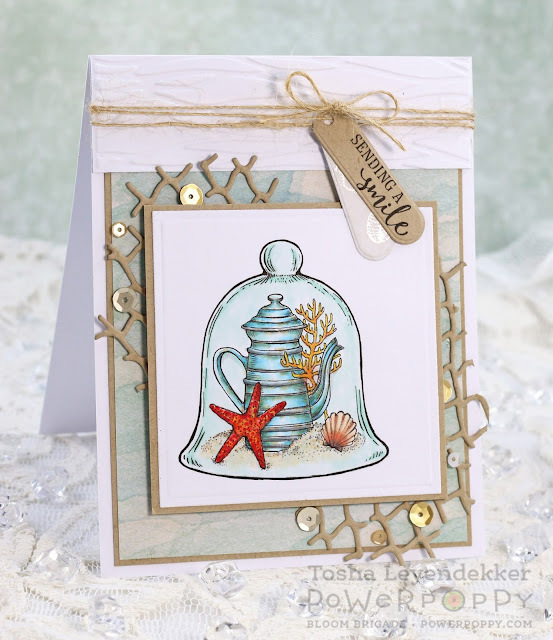 Today's preview is called Under the Glass, and it has a variety of vignettes to go under a cloche. You name an occasion, Marcy has something for it. I chose the ocean vignette. Don't you just love that pot and starfish with the coral and sweet little shell? It couldn't be any more charming!! Everything was colored with Copics and I added a diecut "fishnet" to the background. 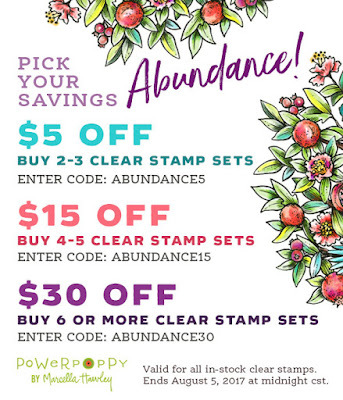 Power Poppy is having a promotion that you are just going to love!! Thank you so much for stopping by. And, thank you too for all your kind, encouraging comments. I hope you have a fantastic week filled with many blessings!! Hello my dear creative friends!!! Have you been enjoying the previews of the new Power Poppy clear stamp sets? Oh my how I've loved seeing what the DT is doing with all these new images. These gals are so super creative and talented!! Today we are featuring an incredible set called Dahlia XL And believe me...this baby is huge! In an incredible way! It's about 5"x5". You can use the whole image, or just parts of it so really, you can make your project whatever size you want. I really stepped outside of my box this time. I decided to try my hand at "no-line" coloring for only the second time (If you don't count the Copic Coloring class I took awhile back). 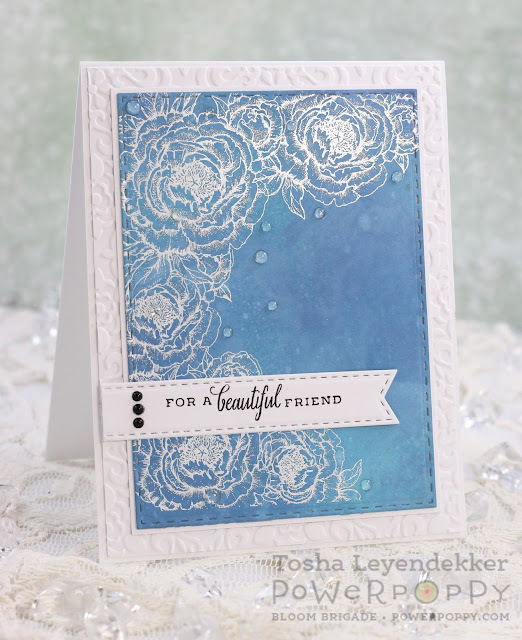 I started by stamping the image with Tattered Rose Ranger Distress Ink, and colored it with my copics. I really struggle with wanting to blend every line seamlessly, so this time, I let some boldness show through. And I have to say, the more I look at it, the more I like it. It's still growing on me though. Below is a close-up so you can see the background a bit better. IRL it's much more visible. 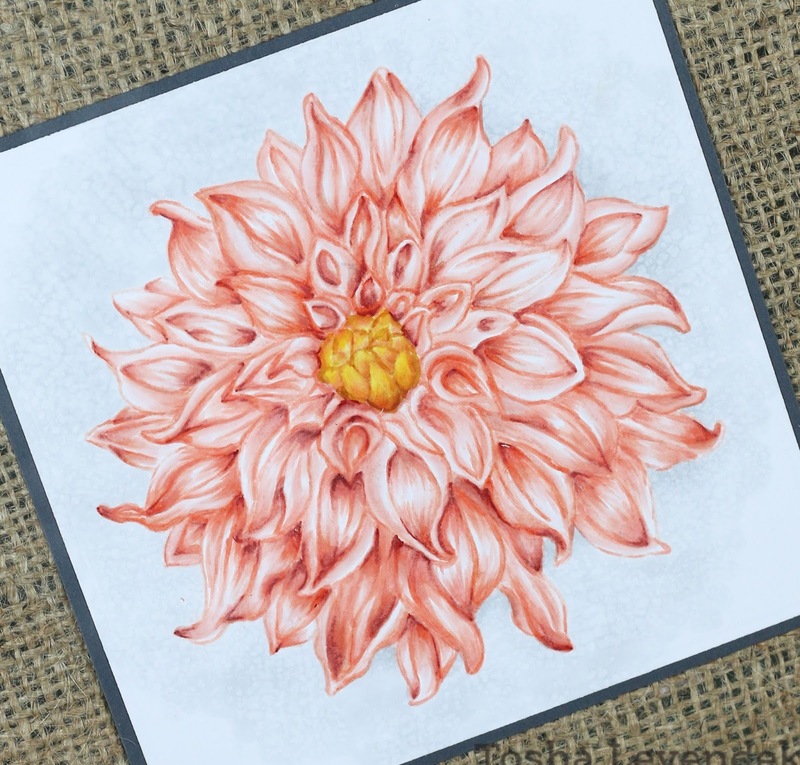 I just colored it with T1, and T0 before coloring the Dahlia, and used an old rag with some blending solution on it. After coloring the Dahlia, I burnished it for some texture. It's way more obvious in person. Below is a photo of where I have the image displayed. I like the rustic feel of it. Once again, that's it for my post today. If you haven't already, check out the following Bloom Brigaders' blogs. You won't want to miss a stop, let me tell ya!! The release is tomorrow y'all!! And we still have one more...out-of-this-world set to share with you. Truly, this one is incredible!! I can't wait for you to see it!! And.........there is going to be a super sweet promotion that you will want to get in on for sure!! It's day 3 of the Power Poppy previews, and people, this set is STUNNING!!! It's called Tree of Life. Marcy has designed an exquisite tree just chock full of delicious details. And she didn't stop there! She added the sweetest little extras too: like a darling little squirrel, leaves, another gorgeous bird, and fantastic sentiments. The tree is so beautifully detailed that I thought it would be fun to "Minc" it in gold. It would work beautifully for Christmas too. No coloring was done for this card. I just stamped the image onto copy paper, photo copied it, added my Minc foil and ran it through my Minc machine. 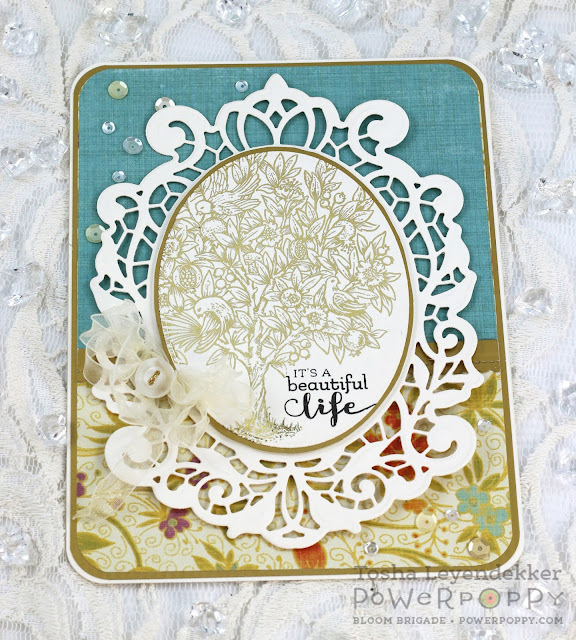 I then diecut it using Spellbinders' Venise Lace die and layered it on some Teresa Collins Fabrications paper. Lastly, I added some sequins and a crinkled ribbon that I made using organdy ribbon that I heat carefully using my heat tool. (If you get it too hot it melts.) I make my bow, and then hold it with a tweezers and gently heat the bows, then the tails. Finally, I stamped one of the gorgeous sentiments with Onyx Black Versafine. That's it for me today. Be sure to stop by tomorrow though. I am so excited to share the next preview because it's my favorite so far. Well...if one can really pick a Power Poppy favorite. Mine change from day to day. Hello friends!! 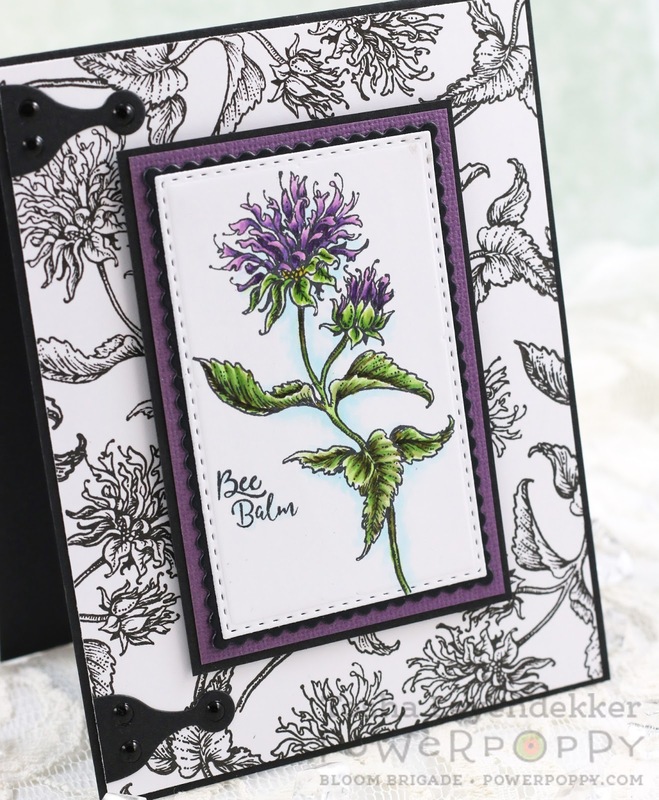 It is day two of our Power Poppy sneak peaks, and for this day we're focusing on a new set called Pure Prairie Spirit. 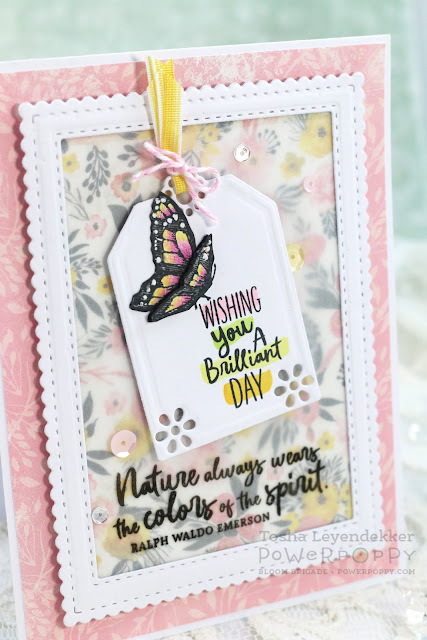 It features the large Digital bouquet from Pure Prairie Bouquet, along with some beautiful butterflies and of course, the perfect sentiments! 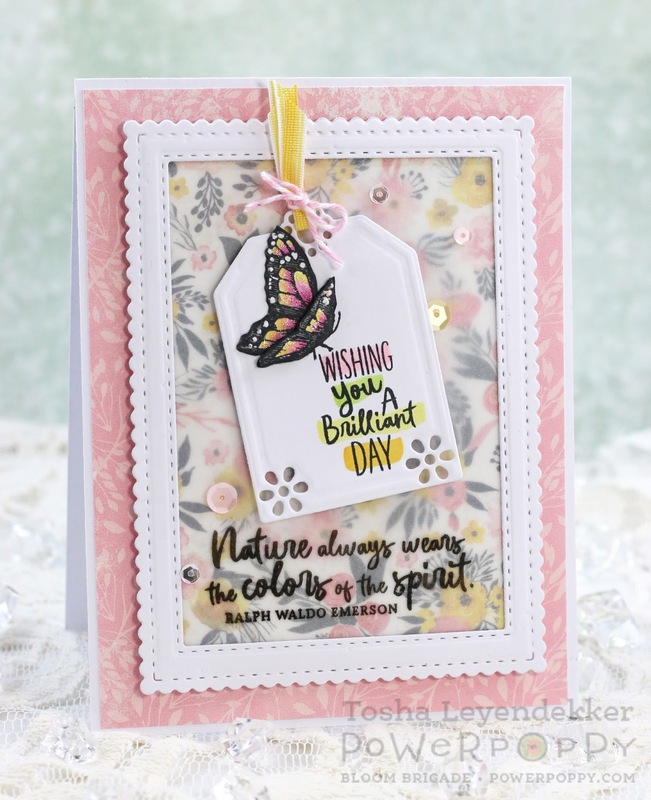 I chose to focus on one of the butterflies and two of the sentiments for my card today. Now, I realize Monarchs are traditionally orange and black, but I took creative license here to match the papers I wanted to use as my backgrounds. I wanted to work with vellum and a sweet little tag to feature some sentiments (which I often leave off of the outside of my cards so they are more versatile...I add the sentiments to the inside later when I know the occasion.) This is what I came up with. The butterfly is colored twice and the front wing is popped up a bit because if you've followed my blog, you know I love dimension. I also added a bit of sparkle to the butterfly with a Clear Wink of Stella pen for a hint of sparkle. If you click on the photo, the sparkle is more obvious. That's it for my project today. Check out these gals' blogs for some more incredible inspiration!! Thanks for dropping by. I hope you've been enjoying the Power Poppy previews!! Hello, hello, hello!!! 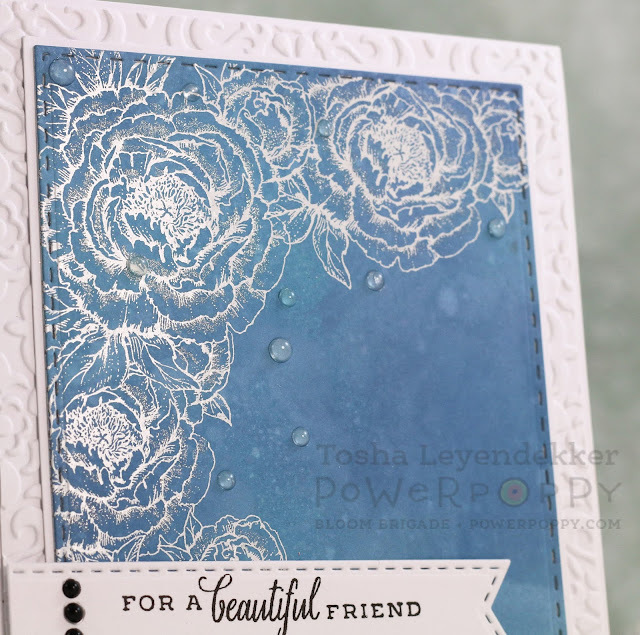 It is release preview time at Power Poppy, and let me tell you all...you are going to fall in love!!! The Power Poppy garden is in full bloom!!! Today we're featuring a new set called Vibrant Thanks, and it has three different flower varieties along with fabulously fonted sentiments. 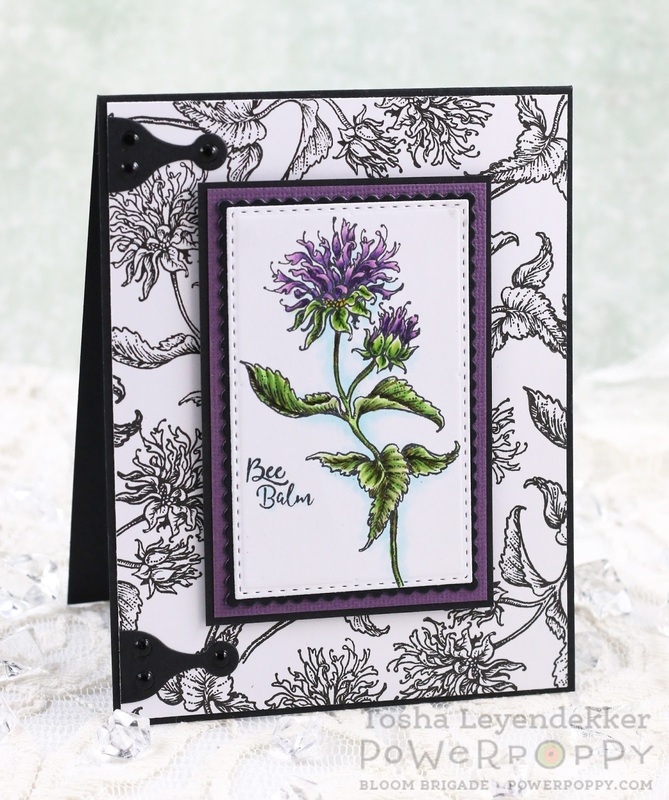 I chose to use Bee Balm...because shoot...I LOVE bees!! There's been a trend using the image as a non-colored background or base. Sometimes one part is colored in the entire panel, but I chose to make it a background and frame the colored image in the center along with a couple of hinges. Below is an angled view so you can see I popped up the central panel for some depth. Now, we have 4 more days of previews until we finish things up with a hop on release day, which will the the 30th!! And hint...hint...there will be a big promotion on that day too!! Be sure to stop by tomorrow for some Pure Prairie Spirit!! Thanks for stopping by! I hope you've enjoyed today's preview. Alright...I played with my Minc Machine again. I can't help myself sometimes. It's just so much fun and has such striking results. 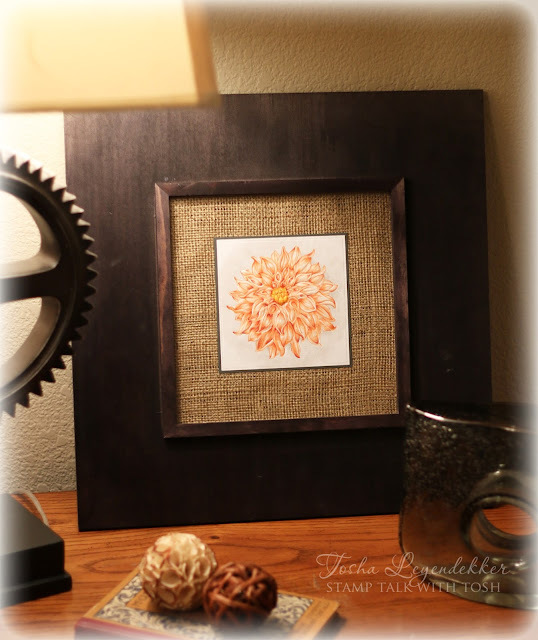 It works so beautifully with Marcella's elegantly detailed images. I wanted to participate in Julie's Hues to Use challenge this week and it's all about blues. 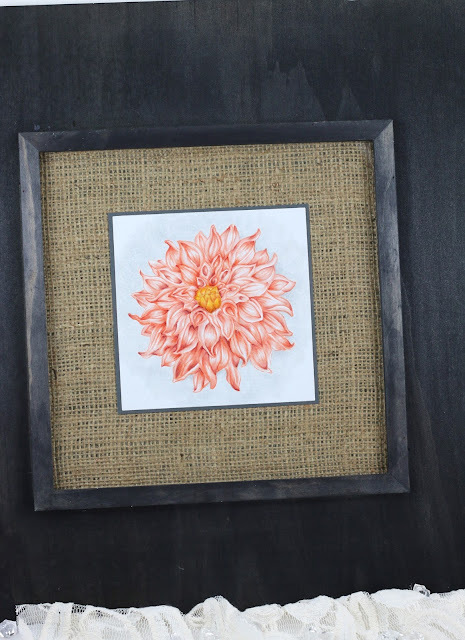 So, I created my background using Faded Jeans and Broken China Distress Ink Oxides. I then created a collage of peonies using Power Poppy's Digital Tree Peonies and Photoshop. I printed it out, photo copied it, and then ran it through the Minc Machine with White foil. 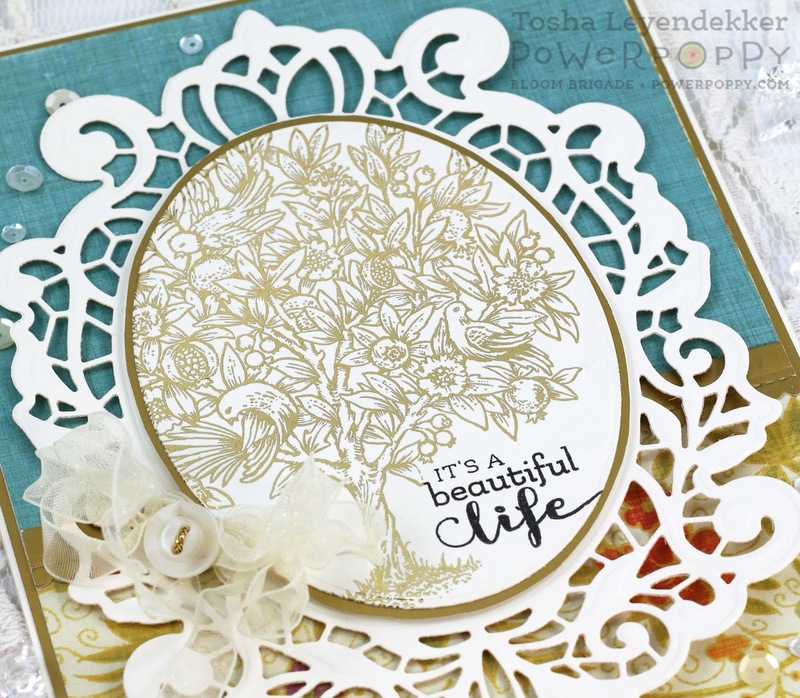 I stamped a sentiment, from the Burst of Kindness Power Poppy set, onto white cardstock and diecut it using a Stitched Fishtail Flag by Die-namics. I used my Clear Wink of Stella pen to add some sparkly highlights, that you can see better in the enlarged photo below, and lastly, added some "water droplets" by squirting different sizes of Crystal Clear Glass Effect Gel (Viva), and Black Perlent-Pen (Viva) onto my craft mat and letting them dry; that way I could control my sizes. I then adhered them with Glossy Accents. That about sums up my card for today. Be sure to join in for our Hues to Use challenge...you could be one of our guest stars of this column in one of the upcoming weeks. Hello my creative friends!!! I have a patriotic, sporty, Power Poppy Birthday card to share with y'all today! Julie, appropriately so, chose red/white/blue colors for the Hues to Use challenge this week, and I thought, a baseball card would fit perfectly with those colors since, in my humble opinion, baseball is America's sport. I know some may disagree, but that's how I feel ;) Mainly because I love baseball. 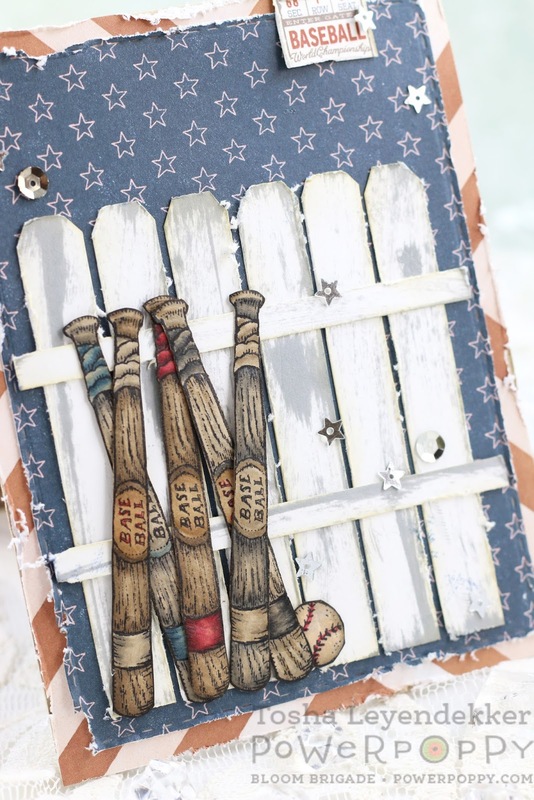 I took Power Poppy's Play Ball stamp set and stamped the equipment collage five times just so I could color and cut out the top baseball bat and one of the balls for my grouping. 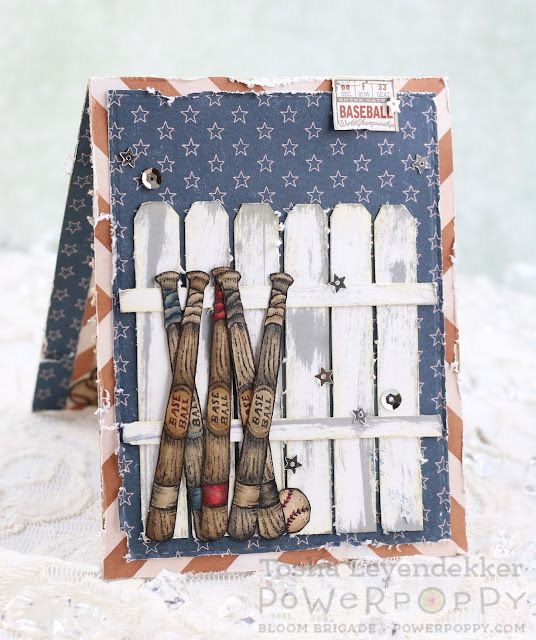 For the fence, I just took Hickory Smoke Distress Ink and ran it lightly over white cardstock until I achieved the look I was going for. I then cut it into strips, trimmed off the corners and lined the strips up. 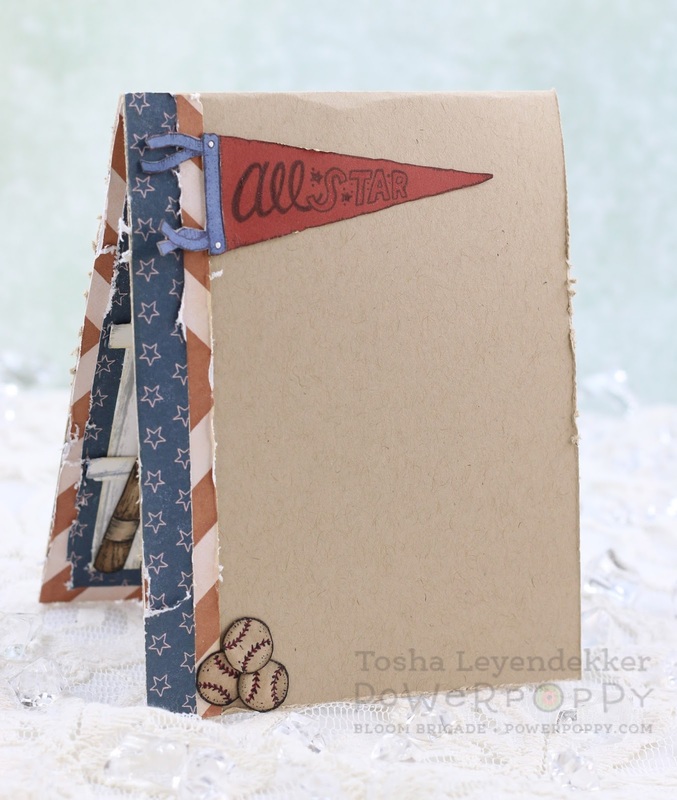 For the inside, I added some scrap pieces of the dp I used on the front, as well as a stamped banner (I stamped the image on red and blue cardstock and adhered the cut blue piece to the red banner. I also used my Misti to make sure I was able to line up the sentiment perfectly inside. 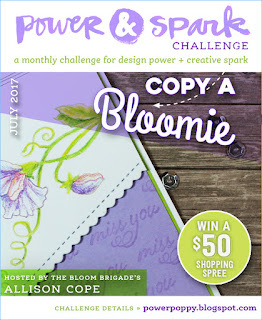 Since it's the beginning of the month, there's a new Power and Spark challenge too being hosted by our dear Ally. She's challenging you to CASE one of the Bloomies. Click HERE for all the details. 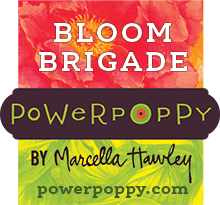 Power Poppy is also having a great sale while Marcella is on Vacation. All Power Poppy Digis will be 20% off from July 6-14. 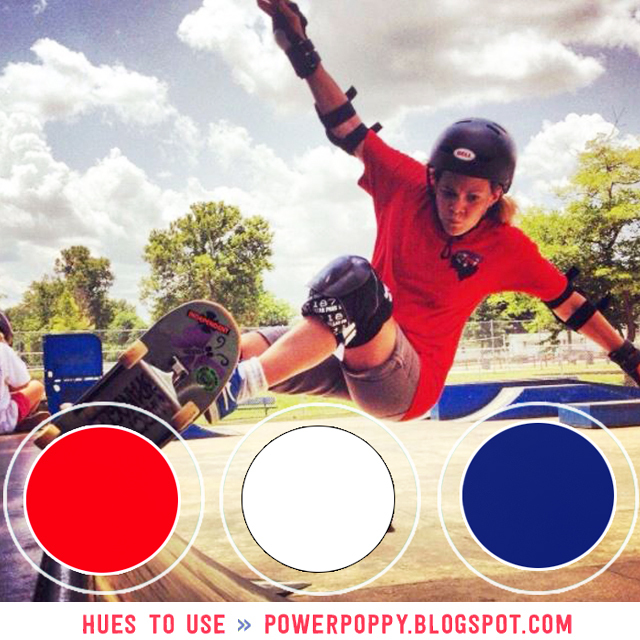 So be sure to head on over to the Power Poppy!! That's it for me today! I hope you had an awesome week, and have an even better weekend! !